There Is No Off-Season: Road trip! What an amazing experience. 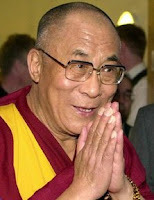 I love the Dali Lama so much. His peace and joy are palpable in his writing so I imagine, being in his presence would be so moving. Thanks Sherri for this inspiration.